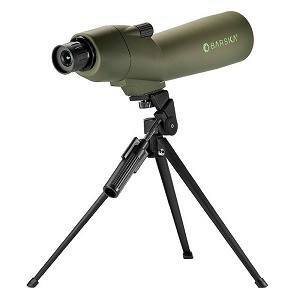 Barska definitely rules in providing the market with the best optics equipment. But which of their scopes rule above all? Check out our list on the best Barksa scope reviews and find out! Barska has gained worldwide fame in providing its customers with various sport optics equipment. Loved hunting? They have the binoculars and spotting scopes for you. Their rifle scopes are a popular choice too for those who love to hit their target. If you’re not a newbie anymore and you want to have some higher end equipment for hunting getting one of these babies would be a good choice for you. 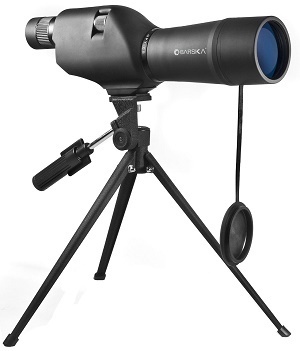 On top of our list is the Straight Spotting Scope from Barska. As the name implies, this one comes with a tripod for viewing ease. It’s also waterproof and fog proof thanks to the nitrogen purged construction of the scope. It has a varied offering of 20 to 60 times more magnification for zooming in on your target. It’s made even better with a smooth focusing knob to help you sharpen images as you look through the glass lens. The fact that this scope carries full multi-coated lenses is also another reason why you should pick it up. It gets you better images when you hunt. The 60mm lens diameter also adds the best contrast. Next on the list is the Colorado Spotting Scope. This one is more affordable than the Straight Spotting Scope. The almost-half price difference might be because of the lower magnification of this scope. The Colorado only has 50mm objective lenses and a zoom magnification of 15 to 40 times. Because of this, the Colorado will provide you with excellent optics of up to 150 yards. Images are likely to become blurry if you try to focus this scope beyond that range. But for its price, you still get a better deal with the Colorado. It comes with a Porro prism which means that even with a limited distance. Images rendered by this scope are far sharper in contrast and colour. On our third best choice for this Barska scope reviews is the Plinker-22 Riflescope. 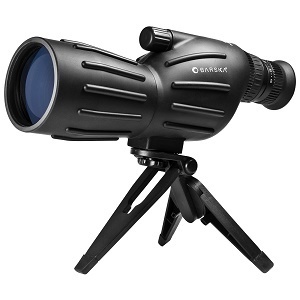 This scope is best suited for some serious hunters and not just birdwatchers. The Plinker-22 is made for rim-fires and .22 rifles for better striking performance on the field. It offers a magnification of 3 to 9 times better. So we have another Colorado for our fourth spot. You might be thinking. How does this one differ from our top two? First, there’s a half-price difference. This Colorado Waterproof Scope is priced higher because it happens to have “bigger” features. Instead of the 50mm lens, you get a bigger 60mm objective lens with this scope. A higher zoom magnification of 20x-60x is also available compared to the 15x-40x. The quick access focus of the Waterproof Colorado also allows you to lock in on your target easily. Does it have the same quality fully multi-coated lenses? Yes. It has even better with BaK-7 prism glasses. You also get a neck strap, a carrying case and a pan-head tripod. Lastly, we have the 1-4X28 IR riflescope from Barska. Among the scopes on this list, this one is the most expensive. But the investment would be necessary if you are into some serious hunting. 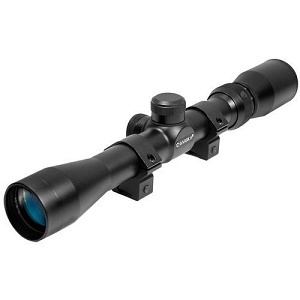 This scope is rated as a SWAT-AR scope and provides 1 to 4 times more magnification at various shooting distances. This riflescope comes in style too with a black, green, and red illumination that is glass etched into mil-dot reticle. The package also includes external target turrets for secure locking. This allows you to steady and focus on your target and minimize movement for windage and elevation. Unlike the Plinker, this riflescope fits a variety of rifles which is ideal if you have more than one. Without a doubt, choosing a scope from Barska would make your hunting ﻿﻿activity easier and more comfortable. Barska’s scopes are built not just for style but also to perform well. You can be sure of their quality since Barska’s products are made to be durable with a solid and shock proof construction. Their lifetime warranty offering is also another insurance that they look after their clients’ needs well. I hope the information you read from our Barska scope reviews helped you made the choice of which scope is best. 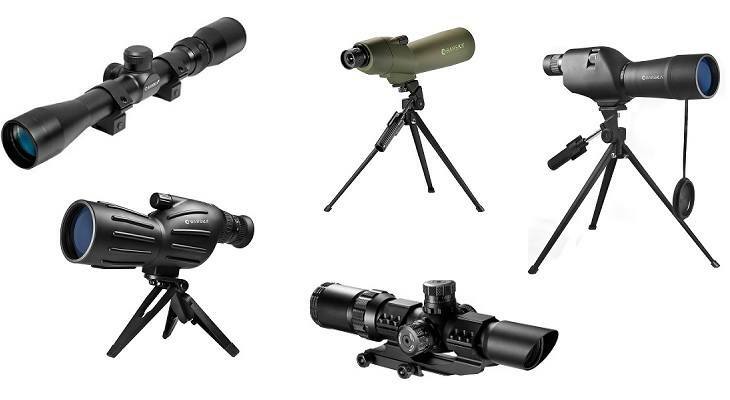 Given the option between a regular spotting scope and a rifle scope, which one would you buy?